A few extra special touches can transform an ordinary Disney World resort vacation into something truly magical. A fastpass lets you and your family bypass the lines at some of the most popular Disney theme park attractions. Choose which rides to apply your fastpass to up to 30 days in advance (or 60 days, if you’re staying at a Disney resort). You’ll never forget how your daughter’s face will light up when she sips tea with Cinderella or slurps up syrup with Goofy. A character dining experience just may be the most memorable part of your trip … and a sit down meal, with Disney’s exceptional service, sure beats ordering hotdogs at a concession stand. You may be tempted to save a bit of money by staying at a hotel farther from the parks when you visit Orlando. You’ll get to enjoy extended park hours. No more navigating an overcrowded park! You’ll also be able to enjoy complimentary transportation and parking and the ease of a Disney dining plan. For a Disney resort experience beyond your wildest dreams, check out Aulani. Instead of an Orlando vacation, you’ll enjoy a Hawaii trip-of-a-lifetime at this incredible family-focused resort and spa. There’s so much more to Disney beyond the theme parks. For a true luxury Disney vacation, consider Adventures by Disney. The adventure tour arm of Disney, Adventures by Disney allows you to embark on a family trip in top destinations all around the world — complete with the attention to detail and family-friendly service Disney is known for. Ride a street car in San Francisco, zip line through the jungle in Costa Rica, sail down the Seine in Paris … and do it all with a bit of that Disney magic sprinkled in! 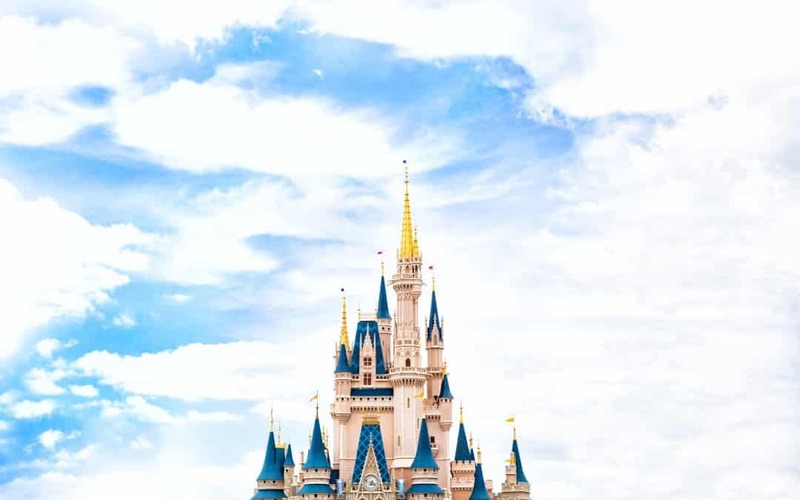 If you’ve done the Disney theme parks vacation before, you and your family will appreciate the fun exploration and family bonding that an Adventures by Disney experience brings. Sail the open seas with Micky and the gang … we guarantee you’ve never sailed like this before! Disney Cruise Line is one of the top cruise lines for families, with perks, amenities, and activities light years above what you’ll find on entry-level mass market cruises. Want a luxury Disney vacation that you and your family will rave about for years? Consider cruising to Disney’s very own private island — Castaway Cay. Hop on one of Disney Cruise Lines’ Bahamian or Caribbean cruises to spend a day in utter paradise … away from the crowds. Open ocean cruising not really you style? Or itching to take your family on a super trendy, luxurious river cruise? Disney is actually one of the few companies that has developed river cruises that cater for families — and since you know Disney, you know you’ll have a phenomenal time. Because of their popularity, Disney just rolled out more themed cruises for 2018. Sure to be immensely popular: The “Beauty and the Beast” themed river cruise down the Rhine in 2018! Yearning to upgrade your own Disney vacation to a truly relaxing, luxurious, memory-making experience? Get in touch with the planning travel agents at Southern Travel Agency. We’ll make your Disney dreams come true! Build Your Own Family Dream Vacation Today!